Tongues of fire descend on the apostles at Pentecost. Lithograph | Photo credit: Wellcomeimages.org Lib Ref ICV No 35484 - Photo V0034957 underCreative Commons Attribution 4.0 International license. Jesus will make the new covenant as well. People frequently think that with that the period of God with Israel comes to an end. After all, who says new covenant, says New Testament and who says New Testament says the Church! And with the Church God’s salvation finally broke loose from its relationship with Israel. The history of salvation finally and forever arrived in the middle of the world. And with it God’s history with Israel became mainly history. Of course does the people with whom God took care of for such a long time keep a special place in His heart and we must love Israel for that reason, but that is just about it. But nothing is further from the truth! There are two things that help us to correct this thought. In the first place the New Covenant is not new, in the sense that it has already been promised by the Lord in the Prophets. Jeremiah speaks about it in Jeremiah 13:31 ff. and also the prophet Ezekiel (Ezekiel 16:59-60). In Ezekiel we read about Jerusalem and Israel “You have despised my oath by breaking the covenant”, but not God: He remembers, so it says, “The covenant I made with you in the days of your youth” and He now even adds a new covenant. So, the new covenant is no breach with the old covenant. That still stands for God. Rather it is an addition and a renewal of the old covenant. That should be considered primarily. The second is, so say both prophets that it will be given to the house of Judah and to the house of Israel. What is also important to know is that the meaning of the Hebrew word, that we started translating as “covenant” from “bereith” (Hebrew), is not “treaty” or “union”, that is what we like to hear, but “promise” or “oath”, something that God intends to do, “testamentum”. It is God’s gift to support and bless the relationship with Israel. In this respect Ezekiel himself mentions the word “oath” (Ezekiel 16:59). The new thing about the new covenant is that God completes His promises to Israel with a new promise: The washing away of their sins and the pouring out of His own Spirit. Ezekiel even says that Israel through this new gift more than ever will realize that God is their Lord and furthermore that God Himself will make atonement for all their sins (Ezekiel 16:63). He Himself will cleanse Israel in the future. Well, that covenant with Israel and with Judah is ratified by Jesus with His sacrifice. This new covenant is so rich that the blood of bulls and goats will not suffice any longer, this covenant is made with the blood of the Lamb that God Himself provides. Jesus future realm. Like Moses climbs up to God after making the covenant from Israel’s early days to receive its gift, the Torah, Jesus ascends to God after His resurrection to receive the gift of the New Covenant and to distribute it and He says to His disciples before His Ascension to keep waiting for the Father’s promise. 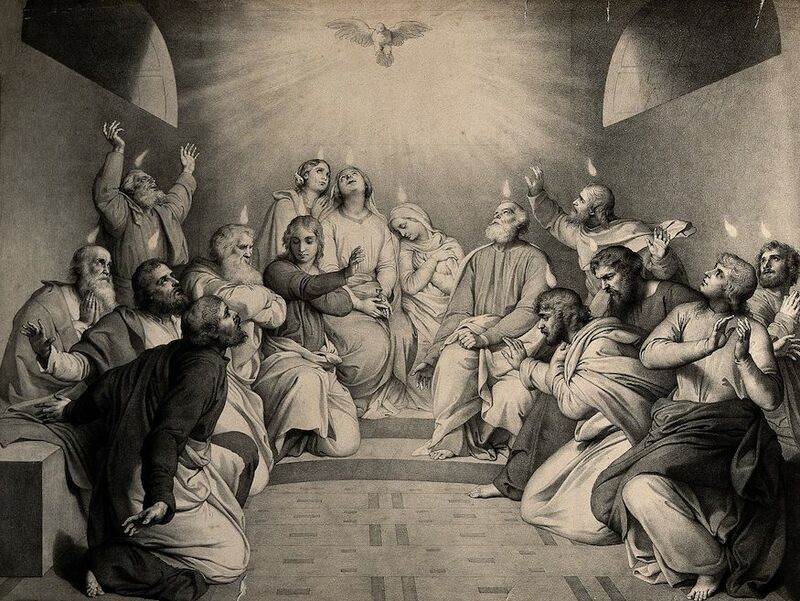 The promise itself is poured out from heaven on the feast of Whitsun/Pentecost. Peter and the other apostles call the gift each time: Forgiveness of sins and the gift of the Holy Spirit. They distribute it to “all people” as Joel says, that is to say to everyone inside Israel all alike. And thus Peter says: “The promise is for you and your children and for all who are far off…”. That last phrase is the term for the tribes in the Diaspora. So, neither our Church nor Whitsuntide is the birthday of the New Covenant yet. Much later Paul will write that a mystery is revealed that has been hidden for centuries: Through the gospel the Gentiles are heirs too, together with Israel (Ephesians 3:6). They became co-heirs, co-members of the promise. 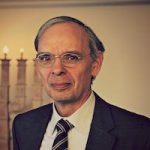 The New Covenant is not primarily for them, but for Israel, but they are allowed to share the gifts of it. So, God’s way with Israel is not quite closed yet.